This paper extends the analytic framework of user experience design into the area of strategic management by adopting the VRIO framework. We adopted value-rarity-imitability-organization (VRIO) framework and applied this integrated scheme into the investigating market cases. The first case study is the analysis of competitive advantages of two successful smartphone device makers, Apple (iPhone) and Samsung (Galaxy). UX Values (attractive design, ease of use, diverse applications), Rarity (simplicity, innovative interface, ecosystem), Imitability (patent, brand identity), and Organization (UX control tower, role of CXO) are employed to analyze and compare the strategies of those two most successful smartphone makers. In the second case study we compared the UX strategies of Google and Naver in the global and local levels. 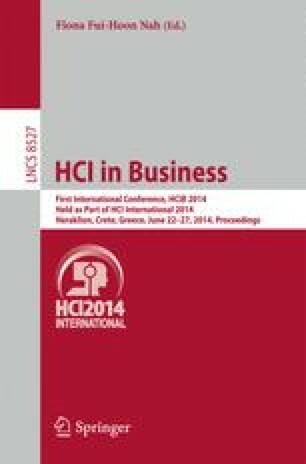 Through the case studies this paper shows a strong implication that UX can be extended into the corporate resources and capability, and VRIO framework utilized for the analysis of competitive advantages for the market leadership.